To celebration the end year of 2011, Mr.Sophoan Seng, Khmer Youth Association of Alberta, CanCambodia, team-works and generous members, have initiated to help kids at two places in Cambodia in Siem Reap Province of Angkor Wat the Great. First group of photos are illustrating Mr.Chanroeun Pa and his teams are distributing note-books, scarfs, shampoo, soap, detergent, dry Mii Yeuong noodles, study tools and cash to many kids who have been survived by the rubbish dump. Their living condition has been affected by rubbish environment which is located in remote area: no school, hospital and other amenities. Many kids and families have been moving here in hope for the career of SCAVENGING. Many generous, journalists and NGOs have stepped in to help them release suffering. Some donations offered, wells dug, and we hope that many other plans are on the row. If you wish to spare your heart and love, please do that…the location is following: Phum Tropaeng Thom, Tropaeng Thom Commune, Prasat Bakong District, Siem Reap Province. Another group was led by Mrs. Chann to distribute note-book, pencil, pen and 500 riel cash to 500 students of primary and secondary school in Phum Dong-het, Khum Kok-thlok Krom, Jikrieng District, Siem Reap province. 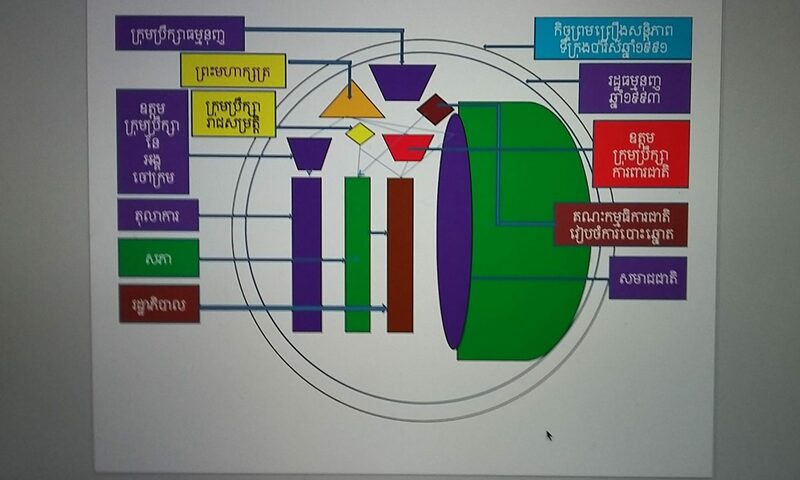 The school has located in the middle of four villages: Phum Dong-het, Phum Konsaeng, Phum Robieng and Phum Anlong Tro-orn at about 7 km north of national road number 6 at the Domrey Chlong point. During the civil war, this location was ravaged by the factional fighting between the Khmer Rouge armies and Vietnamese armies. The typical career of people here are farmers. Thank you very much for your kind sharing and hospitality. We expect to receive your extending heart and love for those kids more in the future!! 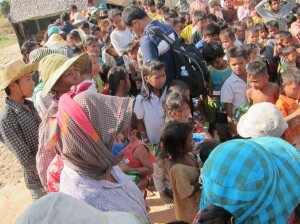 In order to celebrate the New Year 2012, the Cambodian Academic Network (CAN) wish to contribute some gifts to the poor children surviving by the rubbish dump in Siem Reap. Please joint us, if you wish to bring some hope and smile to those children. Every cent and your participation are priceless for them. For more information, please contact Sophan Seng <info@sophanseng.info> or Chanroeun Pa <chanroeunkh@gmail.com>. Children are important citizens in a society. There are many children groups in Cambodia are considered desperate and vulnerable such as rubbish dump children, street children, children of the prisoners, orphan children, disable children, neglected children and poor family children living in remote areas etc. Beside of focusing on contribution of academic resources, desperate and vulnerable children are also a concern of CAN. This time, CAN would like to share some gifts with children at the rubbish dump in Siem Reap recently broadcasted by ABC on photos taken by Omar Havana and we also celebrate the New Year 2012 together. Your participation and contribution are priceless for them.